The resources listed in this guide are compiled for the assistance of the USA Marx Library staff and students in their daily processing and use of federal government information. The Marx Library has been a Federal Depository since 1968. We invite other depository libraries to use this LibGuide to help them access government publication and depository resources. If you would like to suggest additions to this LibGuide, please contact the depository librarian as indicated in the My Profile box. The U.S. government’s official search engine with about 50 million pages from federal, state, local, territorial and tribal websites. The FDLP Desktop serves as a centralized resource for the Federal Depository Library Program (FDLP). Government Publishing Office (GPO) official website. GPO. GovInfo provides free public access to official publications from all three branches of the Federal Government. Searchable website for government information. NTIS--A gateway to government information. FDLP--Listing of various links to resources & guides dealing with natural disasters. Topics include: Preparing for a Natural Disaster; Tracking & Monitoring Natural Disasters; and Responding to Natural Disasters. 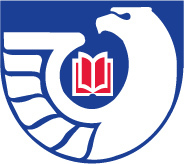 Resources for Student Workers at USA Library. An essential guide for any student at USA. Includes information on: University calendar, campus history, traditions at USA, student services, student organizations, Greek life, Jag productions, SGA, Code of Student Conduct, Academic Disruption Policy, etc. The list of electronic databases and reference sources subscribed to by the Marx Library. Use this link to find newspaper, magazine, and academic journal articles from a variety of sources. Contact information for the reference department at the Marx Library. Includes phone, email, and live chat information.